Bad, thin, or no credit can make it harder to get approved for auto financing. Even when working with subprime lenders who are willing to approve people with less than perfect credit, sometimes consumers still can't get the green light. In these scenarios, it's likely that a cosigner can increase a borrower's chances of being approved. But there are pros and cons of having a cosigner on a bad credit auto loan. A cosigner is a person with good or great credit who signs a loan alongside a primary borrower. By signing the loan alongside them, the cosigner agrees to take on the legal responsibilities that come with a loan. This means that the loan will show up on the cosigner's credit reports and that they will be responsible for paying it back in the event the primary borrower misses payments or defaults on the loan. Because of the delicate nature of this relationship, it's important that the primary borrower and the cosigner know and trust each other. Both need to understand their responsibilities before agreeing to enter the relationship. Most people only ask a parent, family member, spouse, or the closest of friends when in need of a cosigner. The bottom line is that the addition of the cosigner adds extra assurance from the lender's point of view. It makes them more willing to approve a loan because it makes it more likely that all of the loan terms will be met. But you'll still want to weigh the pros and cons before agreeing to become a cosigner or asking someone to cosign for you. It can mean the difference between approval and denial. A cosigner can help an applicant with damaged credit get approved for a loan they would otherwise be denied. If the primary borrower doesn't quite meet the requirements and they really need a car, a cosigner can really be a life saver. It can help the primary borrower build credit and learn valuable lessons. An auto loan is a great credit builder, provided that all of the payments are made on time. Say a cosigner helps a primary borrower get approved and the loan is completed successfully. Ideally, this means they won't need a cosigner on their next loan because their credit should have improved. Plus, a cosigner needs to have good credit, which indicates a strong financial history. They can teach the primary borrower the ways of proper credit management and help them learn valuable financial lessons. It can help the primary borrower save money. Sometimes, a cosigner can help somebody with poor credit qualify for more favorable terms. If the primary borrower can receive a better interest rate with a cosigner compared to what they could qualify for (if at all) on their own, they can save money over the course of the loan. While there are benefits, there are drawbacks that must be considered as well. The cosigner is on the hook financially and credit-wise. Cosigning is a serious matter that should not be taken lightly. A cosigner has to sign on the dotted line and take legal responsibility for the account. The loan will show up on their credit reports. That means a late payment, delinquency, or repossession will impact both people's credit score. Plus, they can be held responsible for making payments if the primary borrower fails to. In a worst case scenario where the primary borrower defaults on the loan, a cosigner can be the target of collection agencies or lawsuits because they are equally responsible for the loan obligations. The cosigner's buying power is also affected. Because the loan appears as an obligation on their credit report, it will be factored into future credit decisions should the cosigner need a loan, mortgage or a line of credit. Lenders will include the loan payment when calculating the person's debt to income (DTI) ratio, even if they are not the primary borrower. This could make it difficult for a cosigner to get approved for additional credit until the loan is complete. It's tough to remove a cosigner from a loan. Once the loan is opened, it's usually very tough to remove a cosigner. The primary borrower would need to refinance the loan in order to terminate the cosigning agreement. This can often be difficult, unless their credit score has significantly improved since the time the loan was opened. 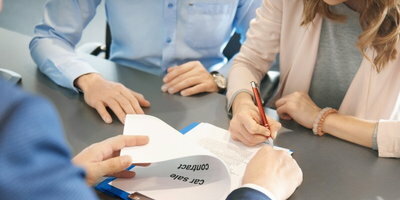 It's pretty clear when laying out the pros and cons that the primary borrower is in line to receive most of the benefits from a cosigning agreement, while the cosigner has to assume most of the risk. This is another reason why it is important to only use or become a cosigner with/for someone you trust. What we recommend: Make every effort to get approved for an auto loan on your own. 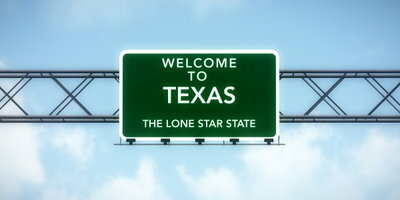 Seek out a first-time buyer program, save up a substantial down payment, or improve your credit score before applying. 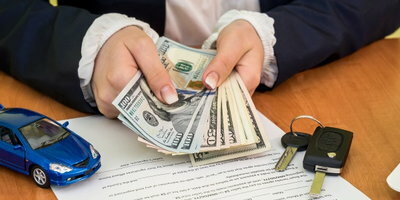 If a cosigner is the only option, then we recommend that you buy an affordable car, keep the loan term as short as possible, and never miss a payment so you can improve your credit score and not harm theirs. Or, perhaps the only reason you aren't being approved is because you aren't working with the right dealership. At Auto Credit Express, we help people with bad credit get connected to a dealership in their area that stands to give them their best shot at being approved. Get the car you need and the chance to rebuild your credit by completing our online auto loan application today.